No one really likes to talk about it, but technology plays an important role in a good bit of modern winemaking. And, in many cases, it is largely responsible for the significant uptick in quality around the world: Better conditions in wineries, a deeper understanding of what’s happening inside the grapes while they’re still growing in the vineyard, even the selection of yeasts and the environments in which they are allowed to do their magic: All of these, at some level or another, can be attributed to technological advances of some sort. The question, though, is where does technology cease to be beneficial and start to alter the essential nature of wine to its detriment. After all, the interaction between grape and earth and climate that produces what is ostensibly a unique wine-expression year after year is a delicate thing; when it is too drastically altered, are the results desirable? Technological advance or unnecessary manipulation? The answer is likely to be as personal as your taste in wine. 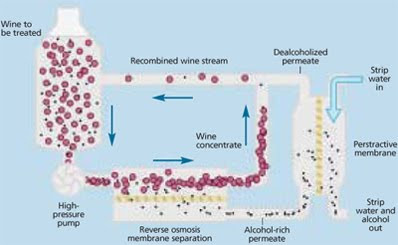 Either way, it’s worth thinking about, because this is a technology that could be here to stay, and will likely affect the wines we drink for a very long time to come.